WW1 Reenactments Equipment : Great War Tommy WW1 Documents, Paperwork : Pack of Replica WW1 Memorabilia. WW1 Reproductions and WW1 Reenactors Equipment / Kit - Pack of Replica WW1 Memorabilia. 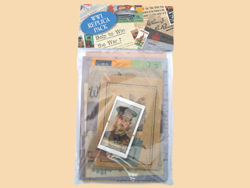 Pack of Replica WW1 Memorabilia. From the Memorabilia Pack Company. Latest pack of WW1 memorabilia containing facsimiles of period British booklets, postcards, leaflets, trade cards and other documents. Very colourful and educational - ideal for KS3 and KS4 National Curriculum - WW1.